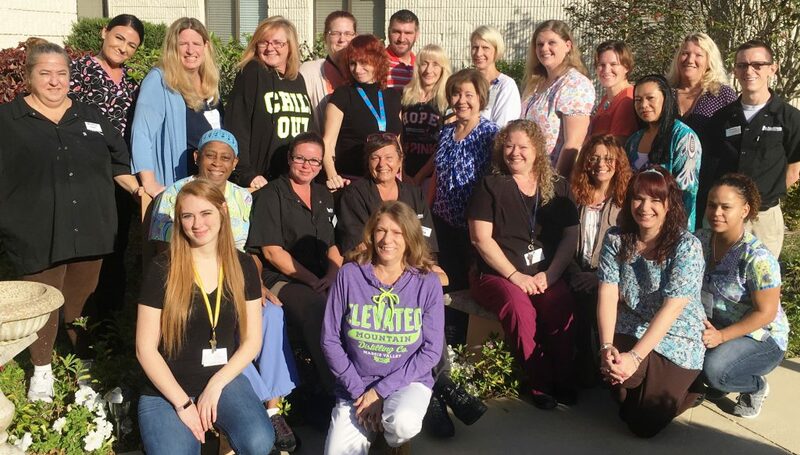 MAITLAND, FL – Consulate Health Care today announced Florida care centers that have earned The Joint Commission’s Gold Seal of Approval® for Nursing Care Center Accreditation by demonstrating continuous compliance with its performance standards. The Gold Seal of Approval® is a symbol of quality that reflects an organization’s commitment to providing safe and effective patient and resident care. Consulate Health Care centers in Florida are undergoing rigorous on-site surveys. During the review, Joint Commission expert surveyors evaluated compliance with nursing care center standards related to several areas, including assistance with activities of daily living, coordination of care, and staff education and training. Surveyors also conducted on-site observations and interviews with leaders and staff of the organization. Bay Breeze Health & Rehabilitation Center, a 120-bed skilled nursing center, located in Venice, FL, received a successful accreditation on October 28, 2017 and a memory care certification on December 19, 2017. Baya Pointe Nursing and Rehabilitation Center, a 90-bed skilled nursing center, located in Lake City, FL, received a successful accreditation on November 2, 2017. Consulate Health Care of Bayonet Point, a 120-bed skilled nursing center, located in Hudson, FL, received a successful accreditation on April 21, 2018. Beneva Lakes Healthcare and Rehabilitation Center, a 120-bed skilled nursing center, located in Sarasota, FL, received a successful accreditation on January 25, 2018. Bradenton Health Care, a 105-bed skilled nursing center, located in Bradenton, FL, received a successful accreditation on April 21, 2018. Brandon Health and Rehabilitation Center, a 120-bed skilled nursing center, located in Brandon, FL, received a successful accreditation on January 27, 2018. Central Park Health and Rehabilitation Center, a 120-bed skilled nursing center, located in Brandon, FL, received a successful accreditation on March 10, 2018. Colonial Lakes Health Care, a 180-bed skilled nursing center, located in Winter Garden, FL, received a successful accreditation on January 27, 2018. Consulate Health Care of Brandon, a 120-bed skilled nursing center, located in Brandon, FL, received a successful accreditation on November 18, 2017. Coral Bay Healthcare and Rehabilitation, a 120-bed skilled nursing center, located in W. Palm Beach, FL, received a successful accreditation on October 12, 2017. Coral Trace Health Care, a 120-bed skilled nursing center, located in Cape Coral, FL, received a successful accreditation on February 8, 2018. Countryside Rehab and Healthcare Center, a 120-bed skilled nursing center, located in Palm Harbor, FL, received a successful accreditation on December 16, 2017. Deltona Health Care, a 120-bed skilled nursing center, located in Deltona, FL, received a successful accreditation on November 30, 2017. Destin Healthcare and Rehabilitation Center, a 120-bed skilled nursing center, located in Destin, FL, received a successful accreditation on October 25, 2017. Emerald Shores Health and Rehabilitation, a 77-bed skilled nursing center, located in Callaway, FL, received a successful accreditation on November 18, 2017. Englewood Healthcare and Rehabilitation Center, a 120-bed skilled nursing center, located in Englewood, FL, received a successful accreditation on January 6, 2018. Evans Health Care, a 120-bed skilled nursing center, located in Fort Myers, FL, received a successful accreditation on December 13, 2017. Fletcher Health and Rehabilitation Center, a 120-bed skilled nursing center, located in Tampa, FL, received a successful accreditation on February 23, 2018. The Floridean Nursing and Rehabilitation Center, a 90-bed skilled nursing center, located in Miami, FL, received a successful accreditation on November 22, 2017. Fort Pierce Health Care, a 171-bed skilled nursing center, located in Fort Pierce, FL, received a successful accreditation on January 19, 2018. Franco Nursing & Rehabilitation Center, a 120-bed skilled nursing center, located in Miami, FL, received a successful accreditation on November 8, 2017. Grand Oaks Health and Rehabilitation Center, a 120-bed skilled nursing center, located in Palm Coast, FL, received a successful accreditation on November 15, 2017. Governor’s Creek Health and Rehabilitation, a 120-bed skilled nursing center, located in Green Cove Springs, FL, received a successful accreditation on November 15, 2017. Habana Health Care Center, a 150-bed skilled nursing center, located in Tampa, FL, received a successful accreditation on March 8, 2018. Harbor Beach Nursing and Rehabilitation Center, a 59-bed skilled nursing center, located in Ft. Lauderdale, FL, received a successful accreditation on November 15, 2017. Harts Harbor Health Care Center, a 180-bed skilled nursing center, located in Jacksonville, FL, received a successful accreditation on January 25, 2018. Health Center at Brentwood, a 120-bed skilled nursing center, located in Lecanto, FL, received a successful accreditation on December 6, 2017. Health and Rehabilitation Centre at Dolphins View, a 58-bed skilled nursing center, located in South Pasadena, FL, received a successful accreditation on January 31, 2018. Heritage Healthcare and Rehabilitation Center, a 97-bed skilled nursing center, located in Naples, FL, received a successful accreditation on March 29, 2018. Heritage Health Care Center at Tallahassee, a 180-bed skilled nursing center, located in Tallahassee FL, received a successful accreditation on November 9, 2017. Heritage Park Rehabilitation and Healthcare, a 120-bed skilled nursing center, located in Fort Myers, FL, received a successful accreditation on March 14, 2018. Heron Pointe Health and Rehabilitation, a 120-bed skilled nursing center, located in Brooksville, FL, received a successful accreditation on November 11, 2017. Hillcrest Health Care and Rehabilitation Center, a 240-bed skilled nursing center, located in Hollywood, FL, received a successful accreditation on January 20, 2018. Island Health and Rehabilitation Center, a 120-bed skilled nursing center, located in Merritt Island, FL, received a successful accreditation on February 8, 2018. 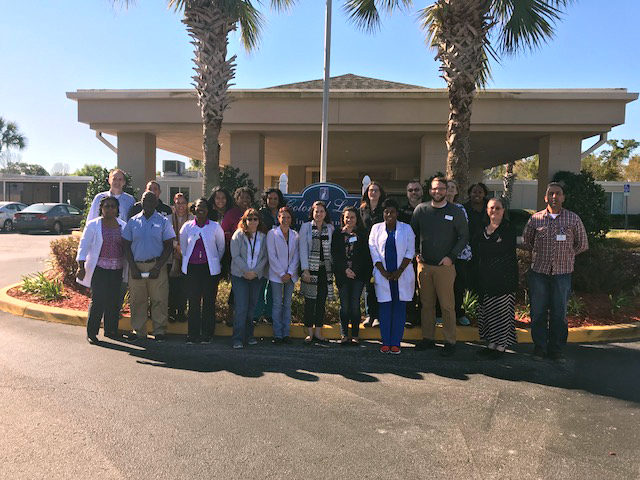 Consulate Health Care of Jacksonville, a 116-bed skilled nursing center, located in Jacksonville, FL, received a successful accreditation on March 10, 2018. Keystone Rehabilitation and Health Center, a 120-bed skilled nursing center, located in Kissimmee, FL, received a successful accreditation on February 23, 2018. Consulate Health Care of Kissimmee, a 120-bed skilled nursing center, located in Kissimmee, FL, received a successful accreditation on November 18, 2017. Lake Mary Health and Rehabilitation Center, a 120-bed skilled nursing center, located in Lake Mary, FL, received a successful accreditation on April 18, 2018. Consulate Health Care at Lake Parker, a 120-bed skilled nursing center, located in Lakeland, FL, received a successful accreditation on February 8, 2018. Consulate Health Care of Lakeland, a 120-bed skilled nursing center, located in Lakeland, FL, received a successful accreditation on February 10, 2018. Lakeside Oaks Care Center , a 93-bed skilled nursing center, located in Dunedin, FL, received a successful accreditation on February 2, 2018. Largo Health and Rehabilitation Center, a 158-bed skilled nursing center, located in Largo, FL, received a successful accreditation on January 31, 2018. Magnolia Health and Rehabilitation Center, a 120-bed skilled nursing center, located in Sarasota, FL, received a successful accreditation on January 27, 2018. Marshall Health and Rehabilitation Center, a 120-bed skilled nursing center, located in Perry, FL, received a successful accreditation on November 15, 2017. Consulate Health Care of Melbourne, a 167-bed skilled nursing center, located in Melbourne, FL, received a successful accreditation on January 19, 2018. Consulate Health Care of New Port Richey, a 120-bed skilled nursing center, located in New Port Richey, FL, received a successful accreditation on October 13, 2017. Consulate Health Care of North Fort Myers, a 120-bed skilled nursing center, located in North Fort Myers, FL, received a successful accreditation on February 10, 2018. North Florida Rehabilitation and Specialty Care, a 120-bed skilled nursing center, located in Gainesville, FL, received a successful accreditation on November 4, 2017. Oaktree Healthcare, a 65-bed skilled nursing center, located in South Daytona, FL, received a successful accreditation on February 10, 2018. Consulate Health Care of Orange Park, a 120-bed skilled nursing center, located in Orange Park, FL, received a successful accreditation on February 7, 2018. Osprey Point Nursing Center, a 60-bed skilled nursing center, located in Bushnell, FL, received a successful accreditation on November 11, 2017. Consulate Healthcare of Pensacola, a 120-bed skilled nursing center, located in Pensacola, FL, received a successful accreditation on October 21, 2017. The Palms Rehabilitation and Healthcare Center, a 120-bed skilled nursing center, located in Palm Bay, FL, received a successful accreditation on October 14, 2017. The Parks Healthcare and Rehabilitation Center, a 120-bed skilled nursing center, located in Orlando, FL, received a successful accreditation on January 19, 2018. Plantation Bay Rehabilitation Center, a 120-bed skilled nursing center, located in St. Cloud, FL, received a successful accreditation on April 25, 2018. Consulate Health Care of Port Charlotte, a 120-bed skilled nursing center, located in Port Charlotte, FL, received a successful accreditation on January 24, 2018. Renaissance Health and Rehabilitation, a 120-bed skilled nursing center, located in West Palm Beach, FL, received a successful accreditation on October 14, 2017. 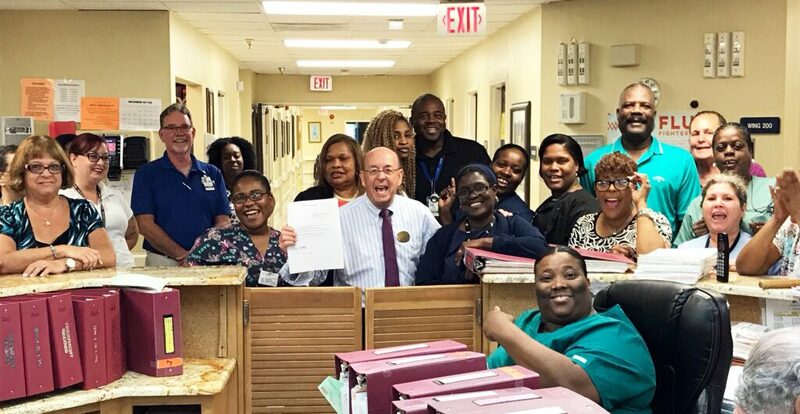 Rio Pinar Health Care, a 180-bed skilled nursing center, located in Orlando, FL, received a successful accreditation and a memory care certification on February 10, 2018. Rosewood Health and Rehabilitation Center, a 120-bed skilled nursing center, located in Orlando, FL, received a successful accreditation on November 30, 2017. Consulate Health Care of Safety Harbor, a 120-bed skilled nursing center, located in Safety Harbor, FL, received a successful accreditation on April 19, 2018. San Jose Health and Rehabilitation Center, a 120-bed skilled nursing center, located in Jacksonville, FL, received a successful accreditation on March 8, 2018. Sea Breeze Health Care, a 120-bed skilled nursing center, located in Panama City, FL, received a successful accreditation on November 9, 2017. Seaview Nursing and Rehabilitation, a 120-bed skilled nursing center, located in Pompano Beach, FL, received a successful accreditation on December 20, 2017. Shoal Creek Rehabilitation Center, a 120-bed skilled nursing center, located in Crestview, FL, received a successful accreditation on April 11, 2018. Spring Hill Health and Rehabilitation Center, a 120-bed skilled nursing center, located in Brooksville, FL, received a successful accreditation on December 13, 2017. Consulate Health Care of Sarasota, a 81-bed skilled nursing center, located in Sarasota, FL, received a successful accreditation on November 4, 2017. Consulate Health Care of St. Petersburg, a 120-bed skilled nursing center, located in Seminole, FL, received a successful accreditation on March 17, 2018. Consulate Health Care of Tallahassee, a 120-bed skilled nursing center, located in Tallahassee, FL, received a successful accreditation on November 11, 2017. University Hills Health and Rehabilitation, a 120-bed skilled nursing center, located in Pensacola, FL, received a successful accreditation on October 19, 2017. Consulate Health Care of Vero Beach, a 159-bed skilled nursing center, located in Vero Beach, FL, received a successful accreditation on October 14, 2017. Vista Manor, a 120-bed skilled nursing center, located in Titusville, FL, received a successful accreditation on October 14, 2017. Wedgewood Healthcare Center, a 120-bed skilled nursing center, located in Lakeland, FL, received a successful accreditation on April 26, 2018. Consulate Health Care at West Altamonte, a 116-bed skilled nursing center, located in Altamonte Springs, FL, received a successful accreditation on November 30, 2017. Consulate Health Care of West Palm Beach a 120-bed skilled nursing center, located in West Palm Beach, FL, received a successful accreditation on January 6, 2018. Consulate Health Care of Winter Haven, a 120-bed skilled nursing center, located in Winter Haven, FL, received a successful accreditation on January 27, 2018. Wood Lake Health and Rehabilitation Center, a 120-bed skilled nursing center, located in West Palm Beach, FL, received a successful accreditation on April 14, 2018. Consulate Health Care is a leading national provider of senior healthcare services, and the largest in the state of Florida. Consulate’s employees strive every day to make a positive difference in the lives of those entrusted to their care. This national recognition is a testament to their dedication not only to caring for patients and residents like family, but to the overall quality of their journey. Consulate Health Care is a national leading provider of senior healthcare services, specializing in post-acute care. We are a leading healthcare organization offering services ranging from comprehensive short-term rehabilitation and transitional care to Alzheimer’s and dementia care. Our compassionate caregivers carry out our mission every day of “Providing Service with Our Hearts and Hands“, caring for our patients like family, not because it’s their job, but because it’s their calling. For more information about our nationwide family of dedicated health care providers or to explore exciting career opportunities, please visit us at www.consulatehealthcare.com. Woo hoo! Nice job Winter Haven!